Check here all open positions for Chef, Chef de Partie, Executive Chef, F&B Manager, Pastry Chef, Sous Chef, Private Chef, Pizzaioli and Italian Restaurant Manager. If you are a Registered user please Log in and try again. If you are a new user you need to Sign up first. You need to upgrade your plan to access. Useful Tools and tutoring to search for your first job abroad. An updated manual which provides useful information to Italy based chefs who wish to develop an international career. Your personal CV is translated into English and re-edited according to the highest international standards by using our IRC original model CV. A 25-minute Skype interview with one of our experts to help you prepare your career abroad and to give you advice on how to behave during a job interview. 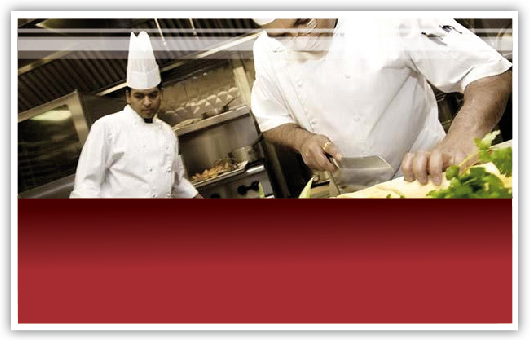 Access to our forum of professionals working in the Italian restaurant industry all around the world – a unique possibility to exchange thoughts and opinions with colleagues. The possibility of 2 conversations by Skype (25 min.) with one of our experts during your job search. Access to the priority list of those persons in positions to receive alerts about position availability directly from the interested employers. Directly to your email address as soon as a new position within the range of your expectations is available. Send us your CV, enter our database and receive our newsletter with the latest positions available. The Check list: the ultimate 10 essential things to have ready to succeed in finding a job in Italian restaurants around the world (outside Italy). Containing “To work abroad” Check List invitation to get discounted Premium services. You may be contacted personally when opportunities arise. Pass to apply for jobs appearing on the website. 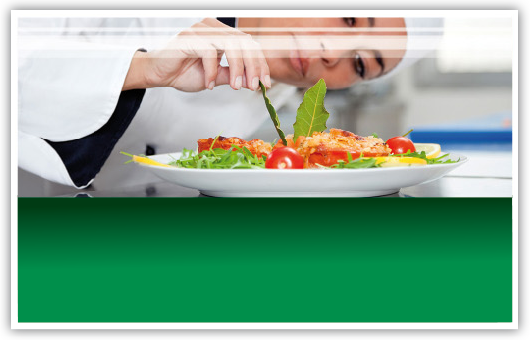 Food and Travel Communications (Australia) ABN 63125796083 and its related trade names worldwide (Italian Restaurant Job Center and Italian Restaurant Consulting) are committed to protecting the privacy of its candidates, clients and users of its websites and services. If you provide us with your personal information either through this website or by email we will make any effort to ensure that such information remains private and is only used in accordance with this policy. By providing us with your personal information, you also consent for us to collect, hold, use and disclose your personal information in accordance with this policy. Food and Travel Communications (Australia) must comply with the Privacy Act 1988 in Australia and similar laws in the other countries in which we operate. Food and Travel Communications (Australia) may collect your personal information from you, including (without limitation) your name, contact details, qualifications, work history, your right to work in a particular country, languages spoken, professional memberships and accreditations, your work objectives and other information from your CV. If you apply for a particular position, we may also collect references from your nominated referees. All the personal information we collect is held, used and disclosed for the purposes set out below. We collect information about how you use our websites, which is used to improve how our websites work or the effectiveness of our web services to you. You may decide to turn off cookies however, switching off cookies will restrict your use of our websites. You may request access to or updating of your personal information held at Food and Travel Communications (Australia) by contacting us and upon the verification of your identity. We may refuse your request and give you reasons for doing so if legally we are permitted to do so. You may also request that we stop using your information and contacting you and we will comply with your request. No files will be deleted if it also holds information about our clients. Food and Travel Communications (Australia) takes reasonable steps to keep personal information secure, accurate and up to date. The Internet is not always a secure method of transmitting information. Accordingly, while we seek to protect your personal information by implementing digital security systems in various parts of our website, Food and Travel Communications (Australia) cannot accept responsibility for the security of information you send to or receive from us over the Internet or for any unauthorised access or use of that information. Where we have links to websites outside the Food and Travel Communications (Australia), we cannot ensure that your privacy will be protected in accordance with this policy. You should consult these other websites' privacy policies as we have no control over them and are not responsible for any information that is submitted to or collected by these third parties. We may change these Terms and Conditions at our discretion and without notice and we suggest that you visit this page regularly to keep up to date with any changes. This website resides on a server in Buenos Aires, Argentina. Accessing and using this website is governed by the laws and the parties submit to the courts, of that jurisdiction. Food and Travel Communications (Australia) does not represent that it holds any authorisations or approvals required to provide its services in any or all jurisdictions where the information or material on this website may be viewed or received. We will make all reasonable efforts to ensure that our website is running smoothly and is without faults. However, we recognise that there may be occasions where the website is temporarily unavailable and we reserve the right to amend, suspend or discontinue any features, databases, and content of our site. The purpose of this website is to provide you with our services and general information. You must not breach any term of our Acceptable Use Policy set out below. This Site contains links to external websites and there may be any number of automatic links to other sites, which may interest you. Food and Travel Communications (Australia) does not accept any responsibility in respect of the content of those sites nor can it be assumed that Food and Travel Communications (Australia) has reviewed or approved of such sites or their content, nor do we warrant that he links to these sites work or are up to date. The information and material on this website is intended to provide a general guide only. While Food and Travel Communications (Australia) uses reasonable care in compiling and presenting the information and material on this website, we make no representation or warranty whatsoever regarding the accuracy, currency, completeness, adequacy, suitability or operation of this website, any services we may provide through it or the information or material it contains. (k) any information or material carried on any website operated by a third party which may be accessed from this website. If any warranty cannot be excluded, to the maximum extent permitted by law, Food and Travel Communications (Australia) liability will be limited to resupply of the relevant service, the cost of resupplying the service or the cost of repairing the services, at our option. In any event, Food and Travel Communications (Australia) will not be responsible or liable for any indirect, consequential, incidental, exemplary, punitive or special damages, loss, liability or expense. If you upload your CV, submit your CV, apply for a job, sign up for any of our Registration Plans, you must ensure that the details provided by you at that or at any other time are accurate, up to date and complete. You must immediately update and inform us of any changes to your information that you whether it be by making relevant changes to your CV or by updating your personal details, so that we can communicate with you effectively and provide accurate up to date information to potential employers. We may gather information and statistics collectively about all visitors to this Site which may include the information supplied by you which will help us to understand our users thereby creating a better recruitment process. We will not disclose individual names or identifying information. All data will be in aggregate form only. We believe this information helps us determine what is most beneficial for our users and how we can continually improve our online service. All trade marks, trade names, logos, information and material available on this website are the property of Food and Travel Communications (Australia) ABN 63125796083 and its licensors. You may only access, use and print the information and material on this website for non-commercial or personal use provided that you keep intact all copyright and proprietary notices. You must not otherwise reproduce, adapt, store, transmit, print, display, commercialise, publish or create derivative works from any part of the content, format or design of this website. If you seek to reproduce or otherwise use the content in any way it is your responsibility to obtain approval from us for such use where necessary. Mislead or deceive Food and Travel Communications (Australia), its representatives and any third parties who may rely on the information provided by you, by providing inaccurate or false information, which includes omissions of information. (j) collect, whether aggregated or otherwise, data about other users of the services. Short term contracts / European countries / Non managerial positions / Junior positions. Unlimited search time and number of candidates. According to the profile sought by the client, the candidates with the best curriculum vitae to be found within our network will be selected. Free replacement of the candidate in the case of breach of contract within three months (3) for whichever reason. Fee is due only once the candidate has signed the contract and started the first day of work. Independent and small restaurants that want to advertise directly their open positions. Recruitment agencies. In www.itchefs-gvci.com website and itchefs&Co. newsletter. To our subscribers in our open positions special alert system. $100 fixed registration fee. Advertising fee will be based on the space requested. Click here to receive rates. Long term contract / Extra European countries / Senior positions. Each candidate is interviewed, evaluated and introduced to the client with a complete personal file card. Candidates’ references are meticulously checked: a) through our network of more than 2.500 professionals and b) in any other necessary way. In order to save client’s time each short listed candidate presented is fully briefed on the details and conditions of the position offered, so they are ready receive the contract if selected for the job. Replacement of the candidate if he or she does not pass the trial period of three (3) months for whichever reason. Discount of 50% of the fee for the search for a new candidate in the case of breach of contract within six (6) months for whichever reason. 10 to 15 % of the candidate’s gross salary. Fees vary according to the location of the job offer and other circumstances. 20% discount on the ‘standard service’ fee if and when the search for another candidate is requested within two (2) years time. Special fees and conditions for contracts which foresee the search of more candidates.